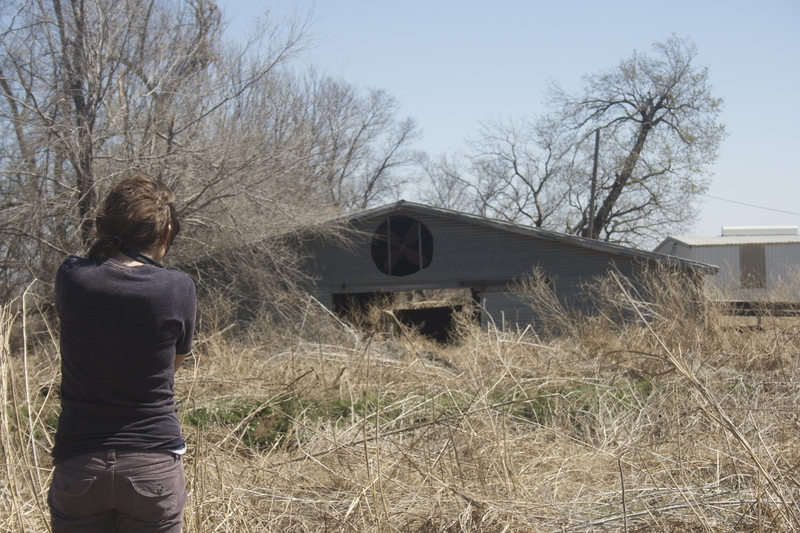 Last week we (Tommie, Charlie and me) spent an hour photographing around the countryside. I will call this one “Through another’s eyes.” Charlie noted Tommie took some great shots with his camera. She has quite the eye. We were glad she was willing to hang out with some novices. Yesterday we wrapped up the first Educators and Clergy Conference titled, “Educators and Clergy, Working Together for Great Public Schools.” The final presenter was Dr. Tom Boyd. Passionate. Articulate. Inspiring. Challenging. I am certain others could add their own superlatives in response to Dr. Boyd. Floyd Cox came up with his own working title for the event, “Teachers and Preachers Sitting Down for a Conversation.” The central feature of the two-day event was conversation. Round table discussions gave teams the opportunity to explore the implications of material a variety of presenters brought for consideration. Great conversations characterized the event. Dr. Boyd noted we live in a day where the “idealogical fix” rules the day. The expression is much like the design of the Apple iPod. Designing a personal music player to avoid music pircay led Apple to develop a player designed for “one way” communication. Once music is put on the iPod it does not come off without losing it. Sure there are workarounds, but the hassle is great. The “idealogical fix” is the kind of experience where conversation is one way. No one is willing to talk if you do not already agree. Many at the event wondered if presenters were not singing to the choir. Dr. Boyd noted the choir is the best place to begin. He humored us with the reminder some choirs are not very harmonious. So, with the choir we began. We began with those who agree on the need for conversation. Certainly there will be nuances that could create tension and even conflict. That is not all bad so long as we maintain the goal of conversation and avoid the idealogical fix. Admittedly this is hard for preacher types – we always think we are right about everything. I am glad Bruce invited me to be on the planning team. I am grateful for the hospitality extended by Dr. Dottie Hager and the OEA team she assembled. May the conversations continue. May we work for great public schools. This evening the first Educators & Clergy Conference sponsored by the Oklahoma Education Association got underway in Norman, OK. The time invested in planning and preparation proved valuable as the evening was both inspiring and challenging. Who could not be excited about getting together with a group of people who share a common dream to invest in students and communities? What’s more, we should discover the realities that churches and schools “can” partner. There is no need for the adversarial role painted by misunderstandings about the “separation of church and state.” The primary challenge will come in overcoming fear by learning appropriate boundaries for a healthy relationship. Educators face the reality of doing more than ever and being blamed for outcomes they really cannot control. I am excited about the possibilities. Early this morning I boarded the treadmill. The on board computer offers a variety of ways to measure progress. One readout I watch is “distance.” My goal is at least 2 miles of cardio. The other display I watch is “time.” I like to get my two miles, walking and jogging, in about 30 minutes. Since my workouts have been irregular Monday mornings present something of a “shock.” My body pays careful attention to the time knowing relief is in sight. The promise of Messiah offered hopeful encouragement for people given to watch for his coming. Relief would soon come. Jesus’ sojourn brought relief to a variety of human suffering. Some found release from the pain of illness, disease and broken bodies. Others were set free from oppression be it demonic or cultural. People came from all around to find relief. The King had come and gave a sign and foretaste of life in the Kingdom of God. Sin is insidious. Its effects are felt, as Scot McKnight notes, in all of our relationships – self, others, God, and the world. Sins personal and systemic keep us all in need of relief from the its presence. Kester Brewin offered a poem to signal indicators of the kind of relief brought in the Resurrection of Jesus. The reference may be to the giving up of Jesus by the earth which could not hold him, but the implications reach far and wide. Thanks Kester for the thoughts. the stones couldn’t hold him. More that they refused to. as he said they would. Don’t think it was some angel. We shared an interesting conversation in Bible Study this morning. Jim Henderson suggests a potential shift in metaphor helps reshape our understanding of disciple-making (a.k.a. “Evangelism”). Often we do not make adjustments based solely as a result of argument. We need an accompanying picture – a new metaphor. If the Church is a sign and foretaste of the Kingdom of God then there must be more going on than “just going to church.” Yet, too many suffer from the need for a new metaphor. 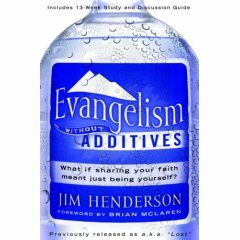 In fact, when Church is a place you go rather than who you are, we miss the people Jesus loves the most, to borrow from Jim Henderson. It is very easy to talk about “others” as “lost.” Conversations most helpful turn on what Henderson describes as “missing.” Questions abound for us to engage others regarding what may be missing in their lives. It will not happen without relational connection. It is far easier to stand aloof, at a safe distance, and declare what another is. We risk missing those who are missing when we fail to work from a position as fellow human being than from a posture of insider, something smacking of elitism. Nothing reeks worseÂ than spiritual arrogance.